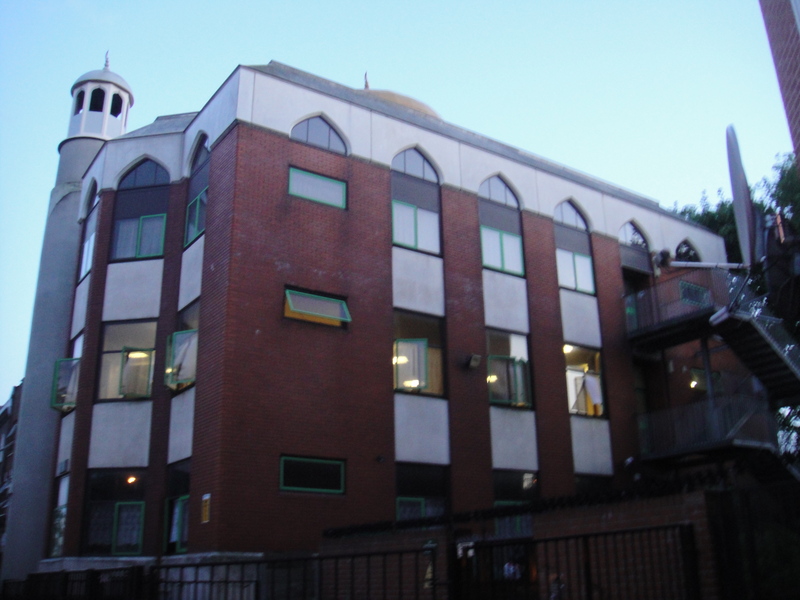 Now known as the North London Central Mosque, the Finsbury Park Mosque rose to infamy in the early 2000s as one after another of its alumni made a name for themselves in the world of Islamic fundamentalism and terrorism. Leadership disputes in the 1990s, allowed extremist Islamist preachers (many of which were refugees from the Algerian Civil War) to take it over and in 1996 they installed Abu Hamza al-Masri as imam of the mosque. Although the name Abu Hamza al-Masri may not ring a bell, you may remember him as the fire and brimstone imam with a hook for a hand and one eye that was eventually convicted in the UK for inciting murder and race hate. He was sentenced to seven years in prison and remains there to this day as the United States tries to have him extradited for his connection to the establishment of a terrorist training camp in late 1999 and early 2000 near Bly, Oregon. Abu Hamza al-Masri aside, Al Qaeda operatives including “shoebomber” Richard Reid and Zacarias Moussaoui attended the Mosque as did Kamel Rabat Bouralha, Osman Larussi and Yacine Benalia who participated in the school massacre in Beslan, Russia in 2004. Matters came to a head in 2003, when over a hundred armed police raided the building as part of the investigation into al-Qaeda suspect Kamel Bourgass and the others accused of involvement in the alleged Wood Green ricin plot (a 2002 plot on the London Underground railway system, in which ricin poison would have been manufactured and used for an attack). During the raid (named Operation Mermant) police recovered chemical warfare protection suits along with three blank-firing pistols, a stun gun and CS spray. Officers also found a gas mask, handcuffs, hunting knives and a walkie talkie. This was in addition to more than 100 stolen or forged passports and identity documents, laminating equipment, credit cards and checkbooks hidden under rugs and concealed in ceiling spaces. Although the mosque is more mainstream now, I was still curious about it given its colorful history. So, a few evenings ago I stopped by to check it out. If you ever make your way over near Finsbury Park Underground station, there is also a great Italian restaurant nearby named Pappagone that is well worth a visit. 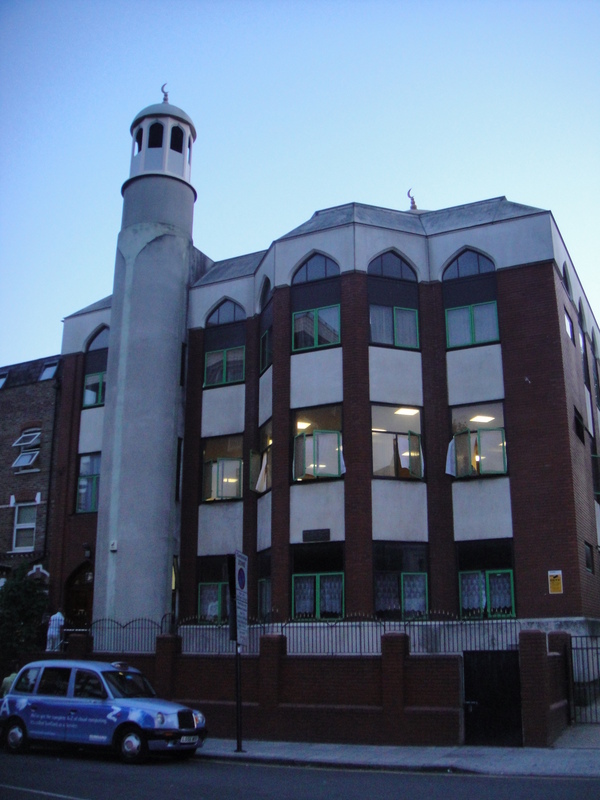 Tags: Finsbury Park Mosque, North London Central Mosque. Bookmark the permalink. Interesting story. I wasn’t aware of its historical significance. Thank you for this insight.